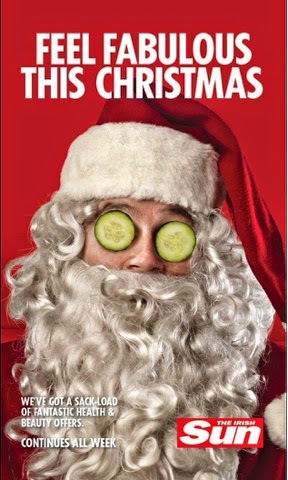 The Claudia McGloin Clinic have teamed up with The Irish Sun to bring you two amazing offers to help you Feel Fabulous this Christmas. Choose between a 2 for 1 on Skin Peels or a 25% OFF on Dracula PRP Therapy for Facial Skin Rejuvenation. Print off your voucher and bring it into the clinic along with your 2 tokens. We would really appreciate it if you would 'Like & Share' the Claudia McGloin Clinic's business page on Facebook. Keep up to date with new treatments and special offers. It may only be Friday 31st October, Halloween but the party season is fast approaching! Every year around this time we tell you this is the perfect time to start having treatments in order to ensure you have Perfect Party Skin. You may well have noticed a change in your Skin especially as it's getting colder and you will definitely need a Superficial Chemical Skin Peel is in order. Your Skin Care regieme will also need changing slightly especially your moisturiser. Whether you are looking at having Chemical Skin Peels, Medical Skin Needling or Mesotherapy Skinboosters chances are you will need more than 1 to get Glowing Skin. We tailor all of our treatments to suit the individual Skin need and we can combine treatments in order to give you the best possible result. What we also stress at this time is that anyone considering Injectable treatments such as Dermal Fillers or Dracula PRP Therapy should have these well before the party season starts in order to give plenty of time for bruising or swelling to settle. So, regardless of what treatments you are having it's certainly time to get your Skin prepared for Winter. Here's a few tips that we think will help you. For more tips keep an eye out on our Facebook business page! Patient Safety refers to Healthcare and relates to Doctors, Nurses, Dentists, Healthcare Assistants and all other Multiple Disciplinary Group Members. The simplest definition of patient safety is the prevention of errors and adverse effects to patients associated with health care. While health care has become more effective it has also become more complex, with greater use of new technologies, medicines and treatments. Health services treat older and sicker patients who often present with significant co-morbidities requiring more and more difficult decisions as to health care priorities. Increasing economic pressure on health systems often leads to overloaded health care environments. Patient Safety is paramount and whether it is in a hospital or clinic setting, public or private it is extremely important that the patient feels safe and comes to no harm during any procedure or treatment. We had a fabulous day yesterday (16th October 2014) as we had our clinic open day but more importantly launched Mesoestetic into the clinic. This range is also brand new to Ireland. It's been awhile since we've been super excited about treatments and products but we are certain without a shadow of a doubt that we have done the right thing in introducing this brand into our clinic. Mesoestetic has a full Advanced range of Medical treatments such as Mesotherapy for Skin Rejuvenation, Fat Reduction, Cellulite Reduction, Vitamin C Facial, Chemical Peels, Sclerotherapy, Threads, fabulous skin care products and so much more! Having tried and tested these out ourselves, we can hand on heart say that these truly are fabulous and with fantastic results! Mesoestetic is now available from the Claudia McGloin Clinic. We were asked some months ago to present Dracula PRP Therapy on the Advanced Treatment Stage at the Professional Beauty Show which was in the RDS in Dublin. This was the first year for the Advanced Treatment Stage. We were absolutely delighted to have been asked and so, on Sunday 5th October 2014 we packed up our equipment and headed for Dublin. The RDS was absolutely packed with beauty therapists and nurses all looking to see what was the next best treatment. We had a lot of interest in our presentation which also included a live demonstration of the treatment being used to treat an Ankle Injury. We had packed seats which was fantastic and it generated lots of questions! At the Claudia McGloin Clinic we often issue free gift vouchers to charities and events. While some of these maybe for specific treatments and skin care, some may also be a money off gift voucher redeemable against a treatment or skin care available at the clinic. These gift vouchers are not redeemable against any of our Cosmetic Doctor/Plastic Surgeon/Vascular Surgeon clinics and they are not redeemable against treatments with reduced prices or special offers including course bookings. These gift vouchers are only valid from 1 year from the issue date on the voucher. Any gift vouchers purchased from a third party i.e. Ocean Deals are only valid for 1 year from the date the gift voucher was issued. These gift vouchers will not be accepted for treatments on special offers or reduced prices including course bookings. Multiple gift vouchers will not be accepted. These gift vouchers were given free to the third party i.e. Ocean Deals in 2013 and the Claudia McGloin Clinic do not get any money back for them. The clinic have the right to refuse to accept these at anytime. Gift vouchers purchased from the clinic directly do not have a specific time limit on them but we would ask that they are redeemed within 1 year. No gift voucher can be exchanged for cash or any other treatment or skin care product and cannot be exchanged even if we no longer offer that particular treatment or skin care brand. Multiple gift vouchers are not excepted in the case of third party or charity gift vouchers. Any leaflets with 10% off cannot be used with a gift voucher. The clinic have the right to refuse to accept a gift voucher. Christmas Club gift vouchers must be paid for in full before they can be issued or used. The decision of the Clinical Director is final with any queries. Anyone who knows me knows that I am extremely passionate about Patient Safety and so, I was delighted to have been invited to join Patients for Patient Safety Ireland (PFPSI) following my personal experience of Wrong Site Surgery in 2007. 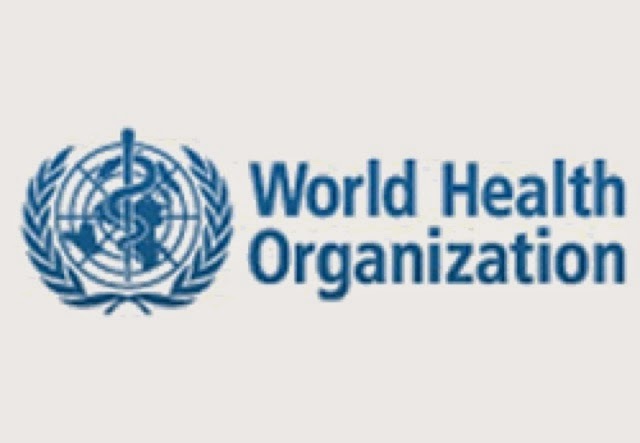 Patients for Patient Safety (PFPS) is a World Health Organistation (WHO) initiative aimed at improving Patient Safety in Health Care. Networks of PFPS have been set up in a number of countries around the world. The purpose of setting up a network of PFPS is to promote understanding and dialogue around Patient Safety and the role patients can play in developing new tools useful in Patient Safety. PFPS aim to foster and build collaboration and links between patients and staff on the range of Patient Safety efforts at Regional and Local levels, so that the lessons can be shared and partnerships created. The establishment of PFPS network in Ireland was led by Ms. Margaret Murphy and the Steering group is facilitated by the HSE Advocacy Unit with the support and endorsement of Dr. Philip Crowley, National Director of Quality and Patient Safety. If you are looking for a Plastic Surgeon in Ireland then you must look at the Irish Association of Plastic Surgeons (IAPS) website - www.plasticsurgery.ie to check if your surgeon is on the list. You will see the official list of Consultant Plastic Surgeons in Ireland. All members of the Irish Association of Plastic Surgeons have achieved the highest standard of training available in Plastic Surgery in Ireland and are listed on the Specialist Register in Plastic and Reconstructive Surgery of the Medical Council. It is only those listed that can call themselves Plastic Surgeons. If the person you are looking for is not on this list, then they are NOT Plastic Surgeons.They maybe listed on the General Register of the Medical Council which means they are doctors but not Plastic Surgeons. Don't be confused with the term Cosmetic Surgeon, this is a term that is NOT recognised in Ireland. Always RESEARCH the treatment and more importantly RESEARCH the person who is performing the treatment for you. Beware of the 'FLY IN, FLY OUT' doctors that visit Ireland from foreign shores and leave straight after they operate! 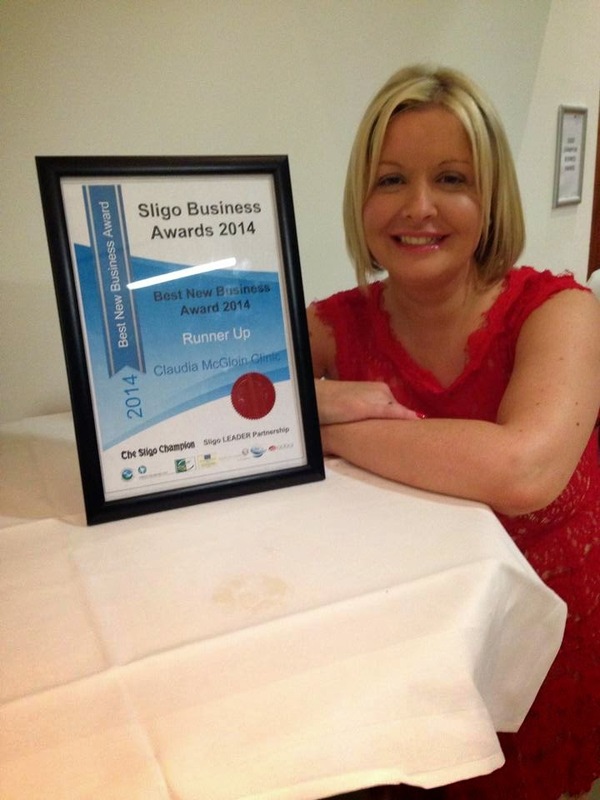 September was a great month for the Claudia McGloin Clinic, we made the final 3 and were awarded Runner Up in the 'Best New Business' category of the Sligo Business Awards 2014. We are introducing NEW treatments, NEW products, NEW skin care and NEW members to the Medical/Surgical Team. We are also organising a Claudia McGloin Clinic Open Day and we will have Special Offers and Competitions. To book an appointment to claim any of the above call the clinic on 071 9140728 or send us a PM and quote this OFFER. These treatments and products are limited! These offers/prices will never be repeated! NO NO to no! no! hair! I'm a sucker like most for beauty gimmicks and I love trialing new products especially the ones that have the potential to work! I'm not suckered into ALL products I must say. I am fairly good at seeing the wood for the trees! I had read a lot about no! no! hair! and watched several commercials on TV over the years but even though I wasn't really expecting much from it, I was dying to try it! Curiousity and all that! While this isn't a new product, I came across an article recently that stated there was new research for no! no! hair! ...It claimed that this little product is just as effective as laser! Hmmm, now even after reading all of the bad reviews and hearing friends negative verdicts - I decided to give it a whirl! It couldn't be that bad, could it? Surely, the research wasn't fake and surely over the years the technology was improved - it uses THERMICON tips! I was so excited about trying it that I started to let the hair grow on my legs! Anyone who knows me knows I HATE leaving my legs with hair on, I HATE the itchiness and I hate the gorilla look! I did extremely well as the hair was growing for at least 10-14 days before I tried no! no! hair! A sure test! 1. It mostly certainly does NOT hurt while using the product! 2. It is extremely easy to use - 90 degrees is not hard to do! 3. It smells so bad, so so bad as it's burning the hair! 4. It does leave rough stubble behind which you then have to buffer off! 5. The device didn't switch off a few times when I'd finished using it and the device did get hot to the point I had to let it cool down before attempting to switch it on again! 6. The device did NOT remove all hair despite going over the same patch 4-5 times! 7. You have to go over the same patch for about 5 times! Importnant to mention twice! 8. There wasn't much difference with the hair re-growth compared to my shaven leg! This device ain't cheap either - €230 from Boots but I purchased mine from QVCUK on easy payments with a money back guarantee up to 90 days! Thank Christ for that becuse it is going back! Now even if I was willing to use it for the 90 days, it isn't long enought to see if it really works HOWEVER, I didn't like the product and didn't like the need to buffer after shaving and especially didn't like the fact it din't remove all of the hairs! So, peeps for all of you that asked me to tell them how I got on with it - I wouldn't be rushing out to buy it and I wouldn't be recommending it either. I am open to hearing other people's opinions about their experiences but I personally cannot be arsed with the whole buffering etc. Hope this helps and here are the links to the reviews so, you can make up your own minds and decide if this is something you want to try! The Claudia McGloin Clinic are absolutely delighted and over the moon to have been awarded with Runner Up in the 'Best New Business' category of the Sligo Business Awards 2014. The prestigious gala ceremony was held on Friday 12th September in The Sligo Park Hotel. There were 24 finalists in 8 categories and 1 overall winner for 'Best Business'. It was such an achievement for us to even be nominated let alone to make the final 3. All the hard work and dedication over the past couple of years have paid off. We would like to thank The Sligo Champion, Sligo Leader and of course YOU for making it happen. Goodbye July and Hello September can only mean one thing - Autumn followed by Winter! While some of us are just back from holidays and others are about to go to the sun for a last minute break, you can't but help notice the change in the weather recently. I don't want to take out my jumpers, heavy coats and boots just yet - it seems too early which is probably because I haven't had a sun holiday yet or the fact that once the heatings turned on, it won't be switched off until next year! We were promised temperatures of 23/24 degrees and a mini heat wave last week but all we've gotten is rain, cold and mist! Typical Irish weather or season change? It's probably a bit of both but seeing as we really haven't had much of a summer this year, the thoughts of Winter isn't appealing! Your Skin may feel drier and may have even lost it's glow in recent days/weeks but you should maintain your Skin regieme throughout the Autumn/Winter months just as you would in Spring/Summer. You will need to tweak your regieme slightly to accommodate the change in seasons. Nothing drastic but you will need extra moisture and hydration for your Skin. As always, you must continue to wear SPF 50 to protect your Skin from UVA and UVB rays that are still there despite their being no visible sun! This is a super gentle Skin Peel that won't make your Skin flake or peel but instead leaves you with super soft, healthy and glowing Skin :) Love it! At the Claudia McGloin Clinic, we have a variety of Skin treatments to brighten and hydrate your Skin. Have a look at our website www.claudiamcgloinclinic.com or call us on 071 9140728 to discuss your options and to book a consultation. The Claudia McGloin Clinic are delighted to have made the final 3 of the 'Best New Business' category in the Sligo Business Awards 2014. The Gala Ceremony will take place on Friday 12th September in The Sligo Park Hotel. Claudia McGloin has been asked to present and demonstrate Dracula PRP Therapy on the Advanced Treatment stage at Professional Beauty in the RDS in Dublin on 5th October. Claudia will be presenting Orthopaedic treatments used to treat Osteoarthritis in the Claudia McGloin Clinic in Sligo. Below is a link to an interview for Professional Beauty entitled Ask the Expert. We have been asked recently via telephone about Milia, what they are and what skin care products can be used to remove them. The answer is there is no skin care product available to remove Milia. Below is a detailed description about Milia and the treatments available. At the Claudia McGloin Clinic, we use either Thermal Abrasion or Advanced Cosmetic Procedures to remove Milia. All our treatments are carried out by highly experienced Medical Professionals that hold dual registration in both the UK and Ireland. Milia are small, raised, pearly-white or yellowish bumps on the skin. They are usually about 1 or 2 millimetres and are most often seen on the skin around the cheeks, nose, eyes and eyelids, forehead and chest but they can occur anywhere on the body. Milia are very common in newborn babies but can affect people of any age. In babies, Milia clear by themselves and no treatment is needed. In others, they may take longer to clear and, in persistent cases, treatment may be suggested. What do Milia look like? A Milium is a small, raised bump on the skin. It is a type of tiny skin cyst filled with a protein called keratin. Many are usually found together and so they are called Milia (the plural of Milium). What are the types of Milia and what causes them? There are different types of Milia. N eonatal Milia. These are Milia that are seen in young babies soon after they are born. They are very common and are usually found around the nose area but may also occur on the scalp, cheeks, upper body and inside the mouth. They are thought to arise from sweat glands that aren't fully developed or mature. Around half of all babies develop neonatal Milia. In fact, because they are so common, they are actually considered as normal in newborn babies. · Primary Milia. These are Milia that can occur in both children and adults. · Secondary Milia. These are Milia that develop in an area of skin, anywhere on the body, that has previously been damaged or injured - for example, after a burn or a blistering rash. The Milia develop as the skin heals and it is thought that damage to the sweat glands may be an underlying cause. Secondary Milia also sometimes develop after certain skin creams have been used - for example, corticosteroid skin creams. · Milia en Plaque. Milia of this type are rare. The Milia develop on an inflamed, raised patch of skin known as a plaque which may be several centimetres across. The cause for Milia en Plaque is not fully understood. It usually occurs behind the ears, on an eyelid, or on the cheeks or jaw area. This type of Milia tends to particularly affect middle-aged women. · Multiple Eruptive Milia. These are crops, or patches of Milia that develop over a period of weeks or months. The crops usually appear on the face, the upper arms and the upper trunk. Milia of this type are also rare. Do Milia cause any symptoms? Milia do not usually cause any symptoms but, in some people, they can become itchy. Milia are usually diagnosed by their typical appearance and generally no investigations are needed. However, in a few cases, if the diagnosis is uncertain or if Milia en Plaque are suspected, your doctor may suggest a skin biopsy. During a skin biopsy, a small piece of skin is removed so that it can be examined under a microscope. There are different ways that a skin biopsy can be carried out. Is any treatment needed for Milia? Milia are harmless and, in most cases, they will eventually clear by themselves. In babies, they clear after a few weeks but, in some people, Milia can persist for months or sometimes longer. Secondary Milia are sometimes permanent. Because they normally clear by themselves, Milia do not usually need any treatment. However, some people find Milia unsightly and so opt for treatment. Milia may be removed using a fine needle and then squeezing, or pricking, out the contents. No anaesthetic is needed. However, it is not recommended to squeeze or try to treat Milia yourself. This can lead to skin damage and scarring or infection. If Milia become very widespread and persistent, various other treatments may be suggested, usually by a Medical skin specialist. · Cryotherapy (a type of treatment that freezes skin lesions - a skin lesion is where a patch of skin has changed in appearance). · Dermabrasion (a procedure that removes the topmost layers of the affected skin). · Chemical peeling (a treatment where a chemical is applied to the face to burn off skin lesions). · Advanced Cosmetic Procedures (a fine needle is inserted into the Milia and a slight electric current is passed through the needle). · Thermal Abrasion (the Milia are burned). Dr Daniel Sister is a world renowned cosmetic and anti-ageing medical doctor, specialising in minimally invasive procedures, practicing in London. I caught up with Dr. Daniel Sister to ask him a few key questions about the future of anti-ageing. How would you describe consumer attitudes now to Botox and cosmetic fillers compared to say 5 years ago? It is a constant evolving industry. Originally Botox was overused and we saw frozen faces etc.. Little by little practitioners have learnt how to control their treatments. At the same time patients started to ask for a more natural look…consumers don’t want the frozen face look, but they want to look better; relaxed but without any tell tale signs of Botox. We now have a very large panel of fillers to choose from, depending on what we want to achieve (higher or lower density, viscosity etc.) This means that we can achieve a more natural look once again… Conclusion? No one wants to be seen as having obviously had a treatment…. the natural look is key. Also the introduction of different techniques to inject, different ways to use different density dermal fillers together, canulas, etc have totally changed the outcome. What’s your latest favourite treatment? For me definitely PRP/Dracula Therapy and the Silhouette Thread Lift, either as a single treatment or a combined treatment. The Thread Lift gives better definition specially on the jaw line without the need to add volume (which is sometimes not the best way to go). What’s your view on the emerging biology based treatments like dracula therapy? This is key for us as we need to get a good understanding of the emerging science and how it is being applied? Emerging biology based treatments are the next frontier. Everything will change from now on. Growth factors, stem cells, fat grafts will definitely change the face of the future, with more natural treatments and longer lasting, and with less possible side effects. How do you see these treatments developing and evolving? More knowledge = better results. Obviously with the rise of PRP/Dracula Therapy the confidential “door” is now wide open. What will be new in 5 years time? Stem Cells, Stem Cells, Stem Cells! With kind thanks to Dr. Daniel Sister, click here for more information on Dr. Sister. Dracula PRP Therapy is EXCLUSIVE to the Claudia McGloin Clinic...We are currently the ONLY clinic in Ireland that is offering this version by the Pioneer and Leading Expert Dr Daniel Sister. Call the clinic for more details. So after months of wearing socks and boots throughout the winter, most of us have been left with dry rough skin on our heels - not a good look when we want to bear our feet and get summer ready for flip flops and sandles! You're all probably finding that moisturising is not enough and you've tried all the over the counter creams and gadgets but to no avail. Frustrated? If this problem sounds familiar, then you need to try a Foot Rejuvenation treatment. A Chemical Skin Peel is a great way of removing Calluses, Corns and Dry, Rough Skin from your feet. As we’ve already discussed on this blog, Dracula therapy is the name I’ve given to my own version of PRP treatment. I’ve been working with PRP for over 5 years and have performed more than 700 procedures, and during that time I’ve created what I believe to be the ultimate cosmetic version of this treatment. Since its increased popularity, I’ve taken the step of trademarking the name ‘Dracula therapy’ as I’ve become increasingly frustrated with seeing the name attributed to inferior versions of the treatment. I am also very concerned about some of the special offers I’ve seen advertised online, aimed at luring patients into multiple treatments that they may not need – all for a so called ‘reduced price’. So, if a doctor does not perform the treatment in the specific way I have developed, and has not been trained by me, it’s NOT Dracula therapy. Let’s look at what sets Dracula therapy apart from other PRP methods. - We harvest just 20cc of blood (more can be unpleasant for patient). My experience has established that 20cc is the perfect amount to create the best ratio between blood taken and PRP harvested. - Most other PRP kits use a chemical buffer gel to separate the red blood cells and the plasma. Because I have concerns about some of the filaments escaping I do not use this method, which therefore means Dracula therapy is 100% hermetical. - We do not mix the plasma with fibrin – therefore Dracula therapy is totally autologous (meaning that 100% of what is injected into the patient is from the patient’s own blood). - In Dracula therapy the diameter of the tubes, length of tubes, centrifuge speed and time spent in the centrifuge is very precisely worked out in order to ensure that the growth factors are not activated before injection. This ensures the correct concentration of ACTIVE platelets – therefore the best result for the patient. - There are other areas where my method of PRP differs from other doctors. These include the exact positioning of where I inject, how deep I inject and the specifics of any mixing with or without hyaluronic acid, vitamins and minerals. - Anyone claiming to be performing Dracula therapy needs to have been trained by me. If you’re speaking to a doctor about having Dracula therapy and want to check if I’ve trained them – just ask me! - We currently provide training sessions for the London School of Medicine, Wigmore Medical Training and, coming later this year, British College of Aesthetic Medicine. Done correctly, a patient would only need Dracula therapy twice a year to maintain the results – I’ve seen clinics advertising courses of treatments and recommending repeat treatments at 4 – 6 weeks – and this is simply not necessary. Dracula PRP Therapy is also used for Sports Injuries, Soft Tissue Injuries, Pain Management and Orthopaedic Conditions. Claudia McGloin is a Senior Trauma & Orthopaedic Nurse Practitioner with over 17 years experience in Orthopaedics and has set up and ran several Trauma & Orthopaedic Nurse Led Clinics in London and has injected Joints such as Knees & Hips for many years. Claudia has also conducted research into Joint Injections and she injects Joints with PRP and Ostenil. Call the clinic on 071 9140728 and book a consultation to further discuss the best treatment for you. The Claudia McGloin Clinic are delighted to announce that we have partnered with Mr Colin Riordan Consultant Plastic Surgeon. Colin will be attending the Sligo clinic for Consultations and some Surgical Procedures and Claudia will be working every Monday in his clinic - The Aesthetic Institute in The Northbrook Clinic in Dublin. Colin specialises in Plastic Aesthetic and Reconstructive Surgery including Hand Surgery and is listed on The Irish Association of Plastic Surgeons website. For more details on the services Mr Colin Riordan offers visit www.aestheticinstitute.ie or contact the Claudia McGloin Clinic on 071 9140728. We received a lovely telephone call from a teenager and her mum thanking us for helping to treat and clear her Acne. We are a dedicated Acne Clinic for Teenagers and Adults and prescribe Medical Skin Care and Medical treatments tailored to the individual. Below is a review we received recently from a patient who attended our clinic and had Dermal Fillers with Claudia. I was told to visit Claudia as she works her magic with fillers and the results are very natural. You didn't disappoint Claudia. Very natural looking result. Thank you. We are always delighted when we receive feedback from our patients at the clinic and we are also extremely delighted when we are quoted by colleagues in their Blogs. Below is Dr Daniel Sister's Blog which is based on our clinic and our patient's feedback on Dracula Therapy for Hair Loss. This is a remarkable treatment and to date have had nothing but positive feedback from patients. I trained with Daniel in London and am always blown away by the treatment and what I can achieve with it. This is my favorite treatment to perform at the clinic. This is one of many reviews and we will post more. I teach Dracula Therapy all around the world, and I love to keep in touch with my pupils and hear their success stories as they use this amazing treatment. Claudia McGloin trained with me some years ago – and has had enormous success with Dracula Therapy at her clinic in Sligo, Ireland. The patient emailed Claudia to thank her, and was happy for us to share her comments here on my blog. If you want to know more about how Dracula Therapy can help with hair loss (both male pattern baldness and male and female alopecia), there’s more information in this blog post. For more information on the Claudia McGloin clinic, visit Claudia’s website. Details of my training courses can be found by visiting Wigmore Medical. If you want to know more about any of my treatments please get in touch. You can comment on this blog post, email me at drsister317@gmail.com or tweet me @DrDanielSister or find me on Facebook. I look forward to hearing from you. We were delighted to hear this week that for the third year in a row, we won the WhatClinic.com Customer Services Award for 2014. A very special thanks goes to all of our clients and to the clients who were surveyed. It gives me great pleasure to say that Claudia McGloin Clinic has been awarded the 2014 Customer Service Award from WhatClinic.com. Only a tiny fraction of clinics made the high standards needed to win. We have added the award to your brochure listing, which is proven to increase patient enquiries and patient conversion. Congratulations and well done! I had always been fascinated by Colonic Hydrotherapy and had never had the chance to have a treatment until I became unwell about 10 years ago. While I was on holiday in the Dominican Republic I picked up a parasite and was ill for several months. I was referred to my local NHS hospital and had to undergo a Sigmoidoscopy - not a pleasant experience! I also developed Irritable Bowel Syndrome (IBS) as a result of picking up the parasite. I had tried several things including changes to my diet but nothing worked and I continued to suffer. Eventually, I had a Colonic Hydrotherapy treatment and felt the best that I had in months! It was the only treatment that worked for me and I have never looked back. I then decided to train to become a Colonic Hydrotherapist so I could treat others who had suffered like I had. My only regret is that I didn't have Colonic Hydrotherapy treatment before undergoing an invasive procedure! After the first treatment, they felt so much better and by the time they had their course of 3 treatments, they felt amazing! It is such a joy to watch people leave my clinic feeling better after they have suffered for years! I am a huge advocate of Colonics and firmly believe that they can work alongside Medical treatments. As a nurse, I feel my greatest success is convincing fellow medical professionals to think the same way! One of my best tips has got to be, Be Yourself! If you are true to who you are and work hard, you will get there and have a successful business! My favourite way to relax is to visit a spa for some pampering! Sometimes a cheeky glass of vino will do the trick but a spa day is definitely the ultimate way to relax! When I'm not working, I love to spend time with my family and friends. There is always fun to be had! I would love to be able to teach Colonic Hydrotherapy and have a few more clinics dedicated to Colonic Hydrotherapy and perhaps add in a few more Holistic treatments. Rosacea is a hot topic at the moment as more and more people are being diagnosed with this Chronic Skin Condition. I have seen several patients in my clinic recently who have Rosacea but some of these didn't even know that they had it! I too have Rosacea and it did come as a bit of a shock especially now as I have started to look after my Skin. It started to develop over the past few months at the age of 37 which is the age it normally develops - between 30-50. As of late, I am noticing it more and more now! For me, it started off when I would have a sip of red wine. My face would become very flushed and hot! I thought it the wine being so warm and heavy as opposed to white wine being the opposite and didn't pass any heed of it. It was my mother that pointed it out to me one evening after I had barely taken a sip of wine. She said that my face was so red it looked like I was on fire! I was wearing make up as well so, I did think oh heck! I have also noticed that when I get out of the shower in the mornings that my face is also very red and I can clearly see the tell tale mask of Rosacea redness around my cheeks and tip of my nose! I have to admit, as a teenager I was never very good at looking after my Skin. I think if I was being good I may have used soap and water to clean my face but I remember days where I would just use water if I even bothered! This may sound like it wasn't bad especially not piling on a load of chemicals onto my face but the problem was MAKE UP! I used to wear a lot of it but I never took it off! Naughty I know but then I am a Nurse! Well that's my excuse now but I'm not sure what it was back then! I wrote an article last December about Rosacea that was published in Mature Living Magazine. For those of you that didn't read it and want to know more about Rosacea, I will print the article here below. 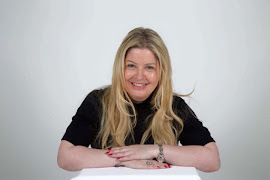 If you have any questions about Rosacea or you want to know more about the treatments available at the Claudia McGloin Clinic please visit the clinic website www.claudiamcgloinclinic.com or call the clinic on 071 9140728. The first of January is always a good time to make changes for the year ahead. Every year without fail, many of us make the decision to start a diet after over indulging during the festive season! Stress, poor diet, alcohol and smoking can overload the body leaving you feeling like you've got a permanent hangover! A Detox is a great way to help your body rid itself of toxins and to kick start a diet. What many people don't know is that if your Digestive System is not working as effectively as it should do, then your diet won't be effective either! Did you know that 80% of ALL illnesses start in the Colon??? The Colon is the forgotten organ of the body but is one of the most important. Often referred to as the second brain, the Colon can store so much Toxins, Gases, Parasites, Bacteria and old, hardened Faeces. The average person can store between 5 and 20 LBS of faeces in their Colon while a person suffering with constipation can store up to 40 LBS. Are you feeling or experiencing any of the following? If the answer is YES - then a Colonic Hydrotherapy treatment is what you need! Colonic Hydrotherapy is a natural and safe treatment. It is extremely beneficial to the body. It increases your energy level, aids weightloss, regulates your bowel movements and can improve your skin. It also helps to hydrate the body and will leave you feeling an overwhelming sense of well being. It's a firm favourite with a lot of celebrities and is the first step towards Optimum Health. A course of 3 treatments is highly recommended with a Herbal Colonic Implant. At the Claudia McGloin Clinic we also have a NEW Detox Diet Plan and a NEW Calorie Controlled Diet Drink. We can tailor a Detox Plan suited to you to help kick start your new year! For more details visit the clinic website www.claudiamcgloinclinic.com or call the clinic on 071 9140728. Look out for our Detox Special Offers on our Facebook Page! Mesotherapy is a medical technique that was devised in France in 1952. It was first used to treat conditions such as rheumatism, sports injuries and for the improvement of blood circulation and fluid retention. Mesotherapy has now been used successfully for the treatment of cosmetic conditions, including skin rejuvenation, hair regrowth, sports injuries, pain management, localised fat reduction and as a treatment for cellulite. Mesotherapy involves the injection of a specially prepared mixture of Vitamins, Homeopathic Ingredients, Amino Acids, Minerals and medications such as Hyaluronic Acid to deliver healing or corrective treatment to a specific area of the face or body. This stimulates the fat cells and causes them to break away from the network of connective tissues in the skin. The excess deposits of fat are then dissolved and excreted through the bloodstream by the kidneys and bowel. Localised Fat Reduction - Micro injections are administered into the mesoderm (middle layer) of the skin, where the fat cells are targeted to induce a process called lipolysis, where the cells rupture and die. This treatment is ideal for those stubborn areas of fatty deposits that are resistant to diet and exercise. Once the fat cell wall has been broken down the lymphatic system removes the fatty liquid through the venous system, where it is processed in the same way as fatty foods are digested. Cellulite – Mesotherapy has been shown to be particularly effective in the treatment of cellulite by eliminating the fat cells, stimulating circulation and repairing damaged connective tissue. The ‘orange peel’ like appearance can be greatly reduced, resulting in smoother, toned skin. Mesotherapy is NOT a quick fix to weightloss. We strongly recommend that you follow treatment with a healthy well balanced diet and exercise. Mesotherapy will also rejuvenate areas such as the face, neck, décolleté and hands to nourish and rejuvenate, promote production of collagen and elastin, and stimulate your metabolism. The result is skin hydration, increase in elasticity and tone of the skin, improved complexion and radiance. This New Year is time to say goodbye to the saddlebags, love handles, jowls, eye bags and bra strap bulges and hello to tightened, rejuvenated, radiant, glowing youthful skin.